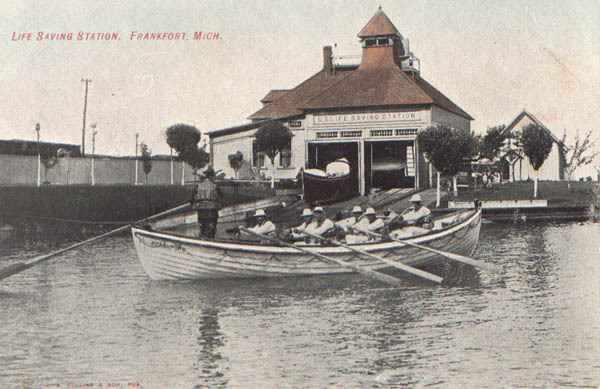 North side entrance of Frankfort Harbor, Mich.
Thomas E. Matthews was appointed keeper on 12 JAN 1887 and was discharged on 16 JAN 1892. George Morency was appointed keeper on 1 FEB 1892 and left in 1915. 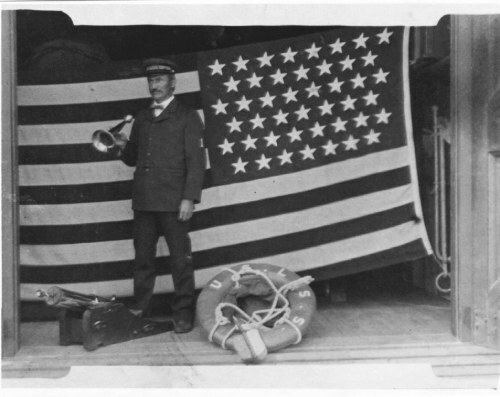 George C. Robinson was appointed keeper in 1915. 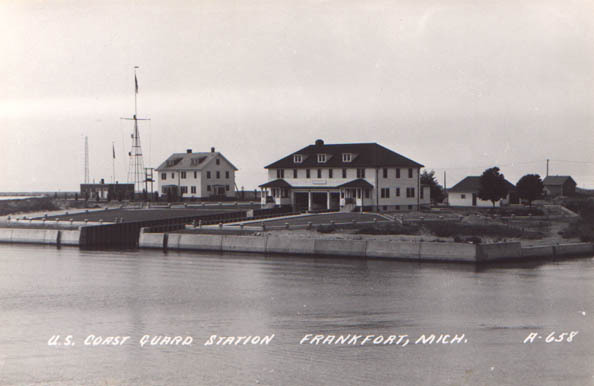 Coast Guard Station Frankfort was established May 4, 1882. 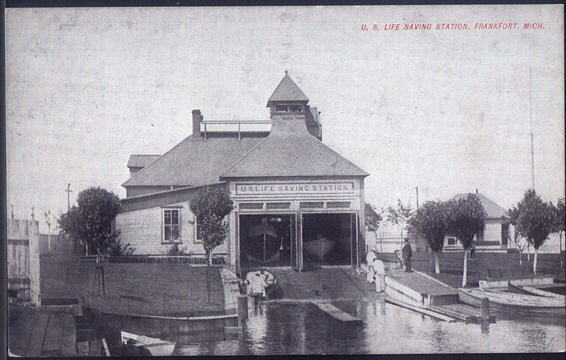 The original sites for the station were acquired by deeds dated November 1883 and June 1898 from Henry Day. 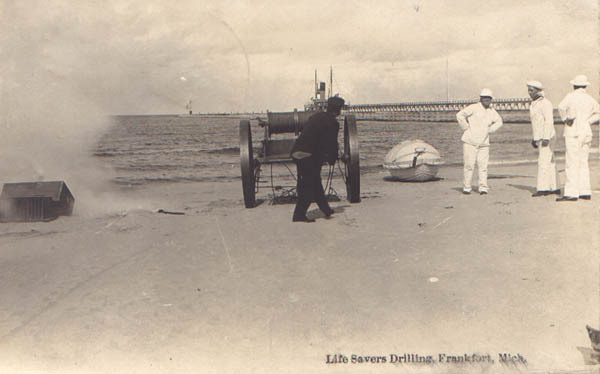 These sites were at the south side of the harbor entrance at Frankfort. 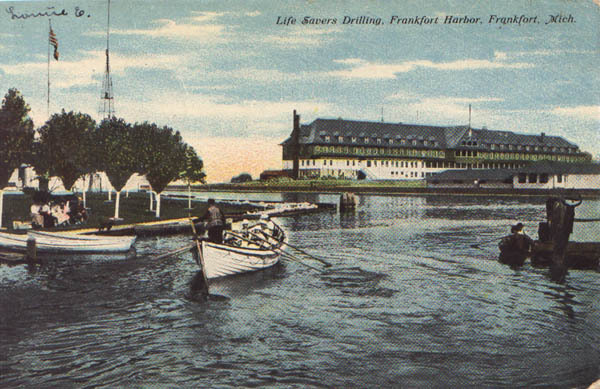 In 1929 it was proposed locating the station on the north side of the harbor entrance. 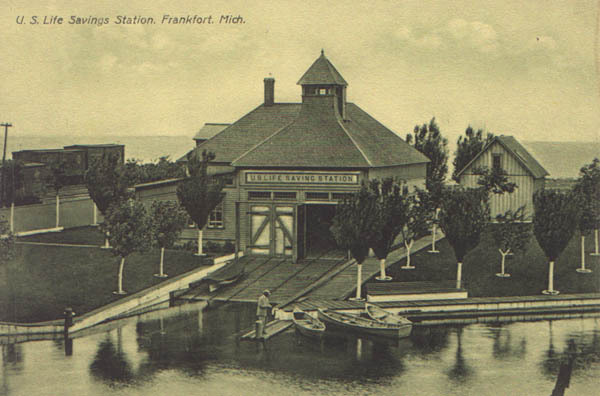 The new site was conveyed by deed dated January 25, 1929 from the Ann Arbor Railroad Company. The old site was used on a lease basis until sufficient funds for buildings on the new site became available. On March 31, 1934, the Railroad conveyed a site containing 2.7 acres in exchange for the site chosen in 1929.